How can we begin to express the importance of our parents? In a certain sense, says Bill Misiaveg, they are "co-creators with God." They inspire us, they care for us, they provide an example for us. And Bill has truly taken the example set by his parents and grandparents in a recent opportunity to show just a small piece of his gratitude. 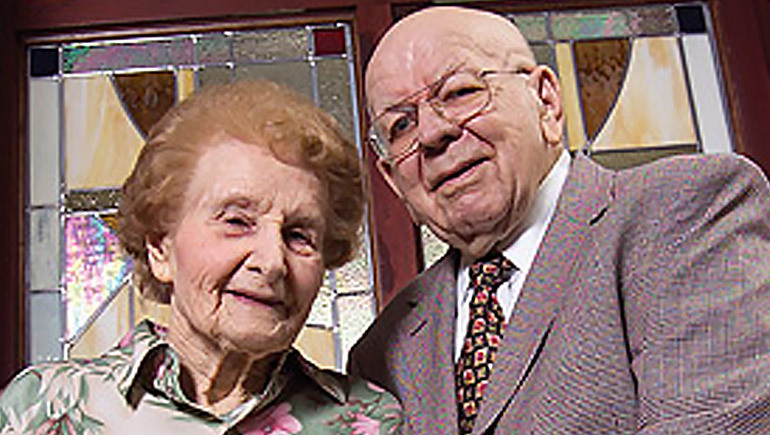 Bill Misiaveg and his wife Suzanne have been involved with Bon Secours St. Francis Health System and The St. Francis Foundation since the 90s. Their family's legacy of charity goes back generations, so when he was approached about making a donation to renovate the chapel at the St. Francis eastside campus in addition to the generous support he already provides to The St. Francis Foundation, he leapt at the "wonderful opportunity to honor my parents and to identify with the mission of St. Francis, which is the healing ministry of Jesus Christ." The Eastside Chapel bears a plaque, dedicating it to Charles and Regina Misiaveg. And that plaque is only a small marker of the humble, comforting impact the Misiaveg family has made on this community. And, as Bill honored his own family, he reaches out to us all in saying, "I am better for having been part and parcel of the St. Francis Family."